We are a dedicated team committed to ensuring Safer roads for New Zealand through innovative in-vehicle safety solutions. We work closely with our suppliers and clients with a hands-on approach to reducing on-road risk for all fleet operators and the driver community by developing, and providing risk identifying information coupled with behaviour changing solutions and preventative forecasting, enabling fleet operators to establish an accountable and structured solution to driver management. IVCS is New Zealand’s leading driver behaviour management company, providing risk identifying information, coupled with behaviour changing solutions and preventative forecasting. We offer a fully integrated range of solutions, enabling fleet operators to establish an accountable and structured solution to driver management. Our results are reinforced by the IVCS 2x first year return on investment guarantee! MOST FLEET OPERATORS EMPLOY SOME FORM OF MANAGEMENT AIMED AT CONTAINING THEIR LOSSES – HOWEVER THE SECRET IS TO AVOID THE LOSS IN THE FIRST INSTANCE. NEW ZEALAND HAS A VERY HIGH ROAD ACCIDENT RATE PER VEHICLE. 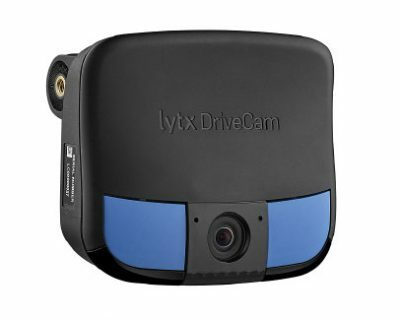 DRIVECAM PROGRAM RESULTS ARE REINFORCED BY THE IVCS 2X FIRST YEAR RETURN ON INVESTMENT GUARANTEE! Typical Fleet Management programmes utilise a number of hardware and software applications to help minimise their on-road risk exposure, but unless all of these tools are applied in a co-ordinated manner, the results will remain less than optimal. IVCS is a solutions company offering fleet owners and operators an extensive range of technically advanced products, dedicated human back-up teams and the most sophisticated predictive analytics to enable them to develop strategies to mitigate their on-road risk, protect their capital and human investment and improve their bottom line. And no other company in New Zealand can do this for you like IVCS can – seamlessly, automatically, turning recorded data into easy-to-implement actions needed to reduce fleet risks and operating costs. Where huge property claims costs have insurance companies steadily and dramatically pushing up premiums in other insurance areas deemed of elevated risk. One of the highest perceived areas of risk is commercial motor with traditionally low premium returns and extreme risk – such a risk that in fact one major insurer has already dropped commercial motor insurance completely in the NZ market. Others are now analysing their books and looking to cut losses where possible. By ‘losses’, the definition will be ‘those clients who have a less than desirable claims history’. IVCS HAS PROVEN IT’S ABILITY TO DECREASE OUR CLIENTS DRIVER AT FAULT INCIDENTS AND RESULTANT CLAIMS BY IN EXCESS OF 95% IN THE FIRST YEAR FOR OUR CLIENTS WHO ARE DEDICATED TO FOLLOWING OUR PROGRAM. The IVCS also work closely with our client’s brokers and the underwriters to ensure that the fleet risk management initiatives our clients have opted for and the resultant successes do not go unnoticed when it comes to renewal of insurance terms. Ranging from simple, easy-to-use monitoring services to the most sophisticated event recorders capturing signals from accelerometers, GPS systems, engine control units, video, microphones and advanced safety systems, IVCS offers a wide range of products and services to suit your fleet management needs and your budget. Join the IVCS mailing list.